Bedroom 3 - 2 Single Bed , 1 Child Bed , 2 Cot , 1 Sofa bed/Futon. 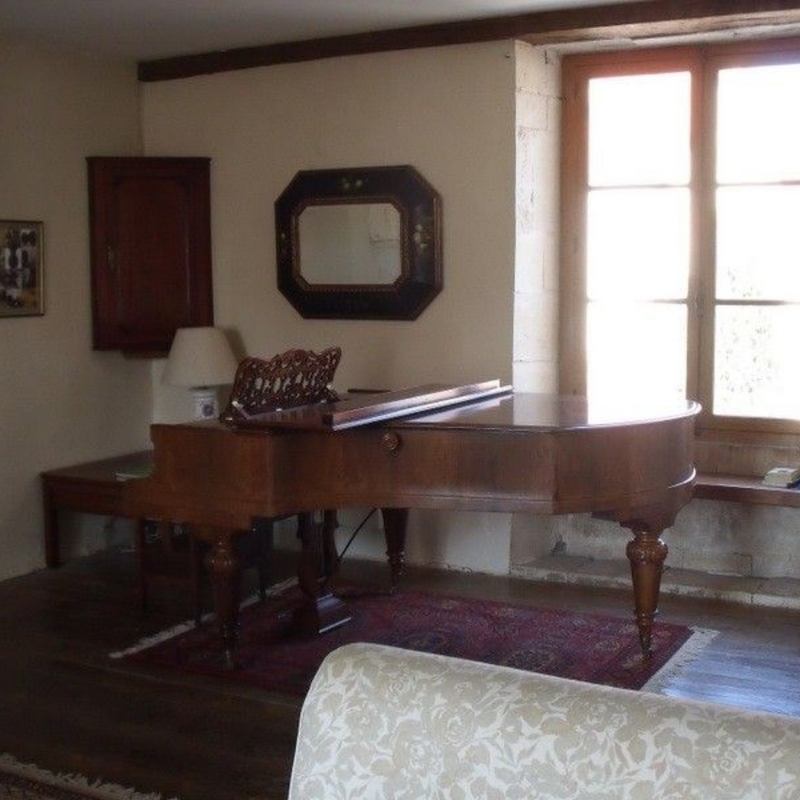 There is a lovely old Pleyel grand piano upstairs in the Salon which is in good condition having been restored. It is available by agreement but is otherwise kept locked. The acoustics are excellent for chamber music. The peaceful walled garden is mostly orchard with lovely old apple and quetsche/plum trees which give shade and fruit in season! It's a great place to retire with a book and a glass of the local Crémant. The kids should be happy with swings and trampoline.